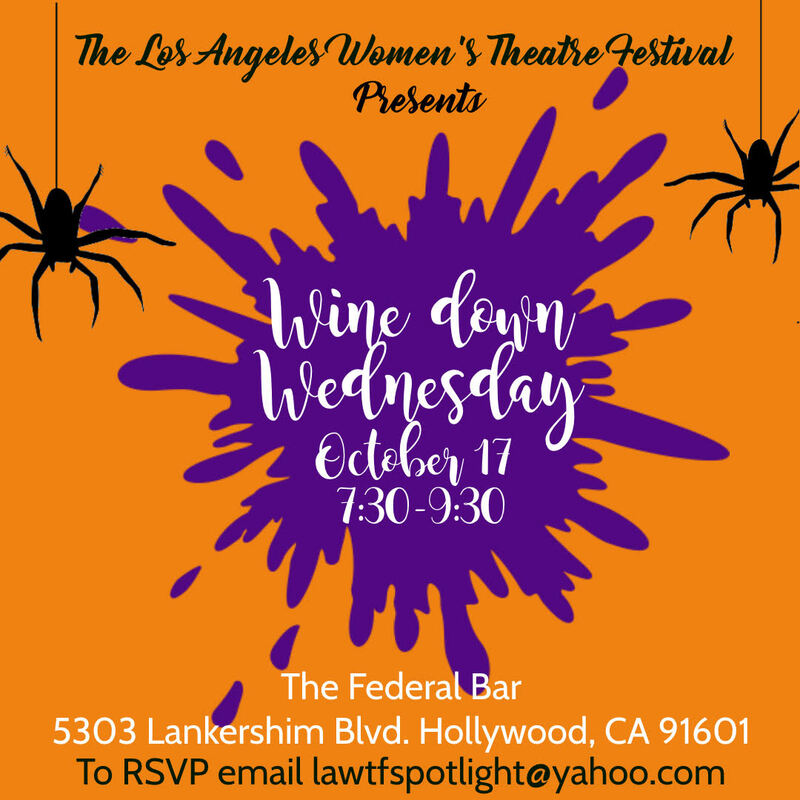 LA Women’s Theatre Festival Wine-Down Wednesday on OCTOBER 17TH 7:30-9:30PM, at the Federal in North Hollywood! A night of performances by Stacy Dymalski, Rahvaunia Johnson and others, plus networking, raffle winning, drinks and food that you won’t want to miss! Free entry, but RSVP to lawtfspotlight@yahoo.com required and purchase of a beverage and/or appetizer is greatly encouraged.